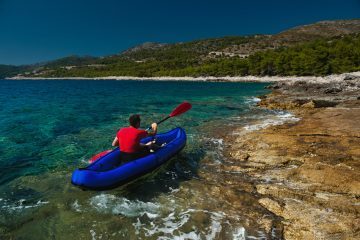 Inflatable kayaks are a great way for beginners to get a feel for the sport without sacrificing storage space or having to install a roof rack. 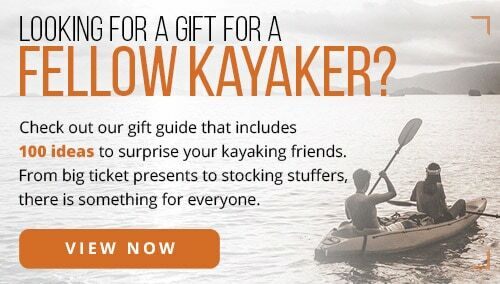 The best 2-person inflatable kayaks allow you to tour open waters, navigate narrow outlets, fish, and explore with your favorite kayaking companion: partner, pal, or pooch. 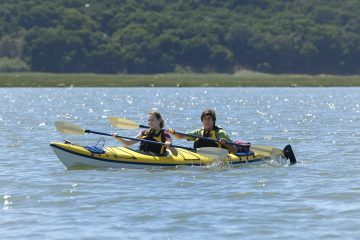 Inflatable kayaks are a great starter option because they’re lightweight, easy to transport, and simple to learn on. They also tend to be less expensive than hard-sided models, so you can try the sport without making a large initial investment. 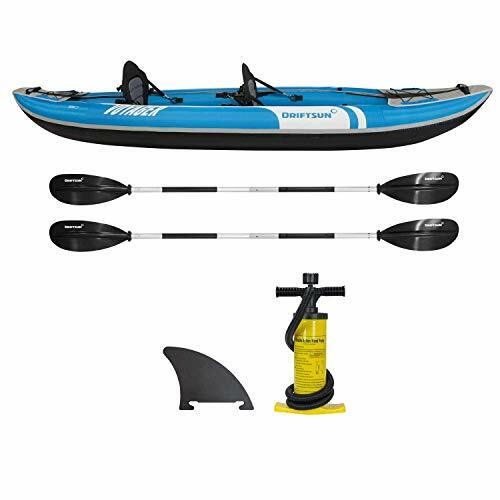 It should take you no longer than five minutes to inflate this tandem kayak with the included double-action pump and built-in pressure gauge. Then, you can single-handedly carry it to the water with the front or back handle, because it weighs no more than a toddler. The tough bottom material and attachable fin make the vessel easy to maneuver, and the boat handles wind, currents, and small waves better than you might expect. You can sit back and relax into the high-back adjustable seats with your cooler and gear packed under the front and rear bungee compartments. 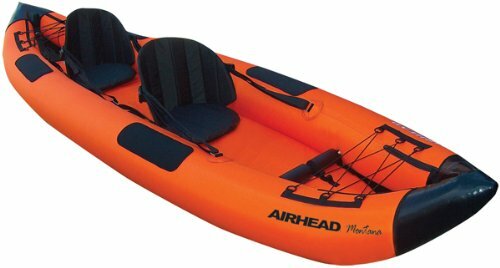 The kayak is divided into three separate compartments, which each inflate separately. If one happens to pop, the two others stay inflated, keeping you afloat until you get to shore. 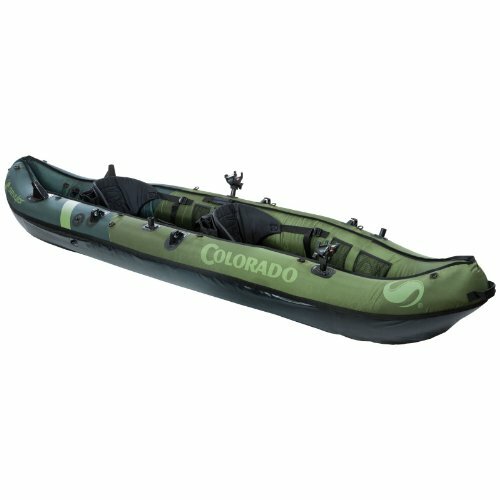 If you’re looking to get away from it all for a quiet day of fishing, this inflatable ‘yak becomes your floating oasis. The comfortable adjustable seats are roomy enough to fit two grown adults, so you can take a buddy along. The rod holders and mesh storage pockets keep your hands free, while the built-in spot for a trolling motor lets you add a bit more power to your setup. Coleman designed this NMMA-certified kayak to resist punctures with its signature Airtight System. They use a double-wall construction and multiple air compartments to ensure you make it safely back to shore. Once you feel the weight and durability of the kayak material, you’ll feel better about rowing away to remote inlets. 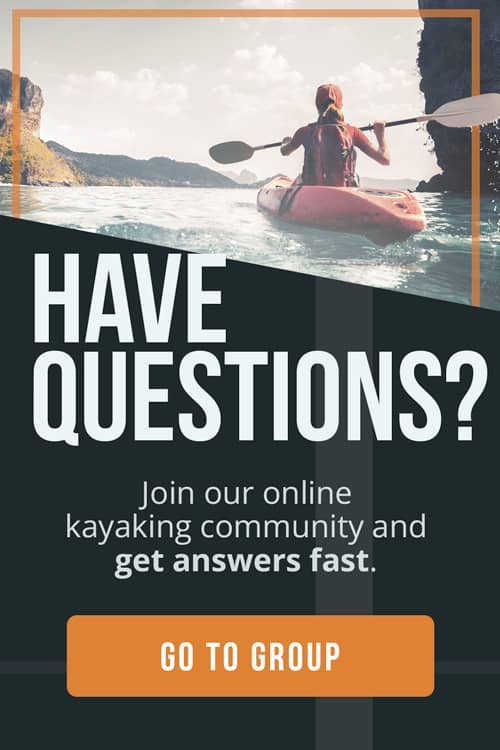 Once you graduate from a beginner to an experienced kayaker, you can stay in this kayak as it grows right along with your skill level. The yak can not only glide across calm waters when you want to relax, but it also allows you to take on saltwater and Class III whitewater when you’re ready (or accidentally happen upon them). Though the kayak fits two people comfortably with its two removable seats, the 3-person capacity does leave extra room for a child or pet. The tough hull resists punctures from both pet claws inside and boulders outside. Two skegs on the bottom help you navigate waterways like a pro. For those who like to stay dry, the inflatable spray skirts minimize blow-back while the self-bailing drain valve prevents water accumulation. 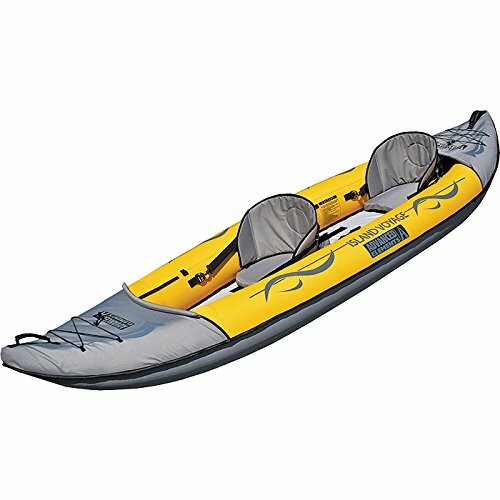 As a beginner trying to get the hang of kayaking, this boat takes it easy on you with a straightforward inflation system, tracking fin, and stable bottom. The rugged multi-layer construction helps ease you into the idea of riding inflatables across open water. Whether you want to ride solo or bring a friend, the three seat positions allow you to find a comfortable position for the two high-back seats. You won’t need help hauling the boat to your launch point though because the boat is so lightweight and offers you multiple handle positions. Built-in bottle holders and bungee lacing keep your cargo within reach. Pack this inexpensive recreational boat in the back of your car next time you go camping or road tripping. If someone gets the itch to go boating, they can simply unroll and inflate the floating vessel with a hand pump (not included) in a matter of minutes. The bright orange material makes it easy to spot your kids out on the water and makes you more visible to water traffic. Four bottom fins make it easy to steer over stable lake water and minor waves. The reinforced bottom helps prevent punctures while the three separate inflatable sections keep the durable boat above water in the rare event of a leak. The Airhead offers some nice touches such as the adjustable foot brace, elbow guards, and inflatable seats with adjustable backrests. 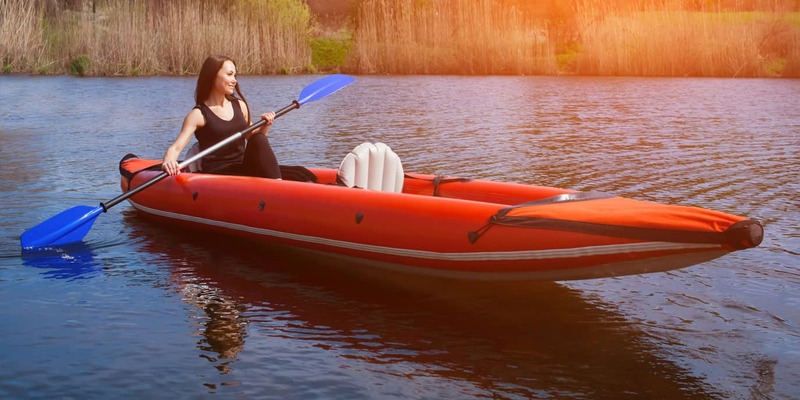 Inflatable kayaks tend to be less expensive than their hard-sided counterparts. However, even inflatable kayaks have highly variable price ranges. Just like you’d expect, the higher the cost, the better the quality (i.e. you get what you pay for). If you just want to have fun out on the water with your kids for an hour, you don’t need to invest quite so much. But if you plan to go on lengthier expeditions, you might want to consider a higher investment for your comfort and safety. Each waterway has a designated class based on how easy or difficult it is to navigate. 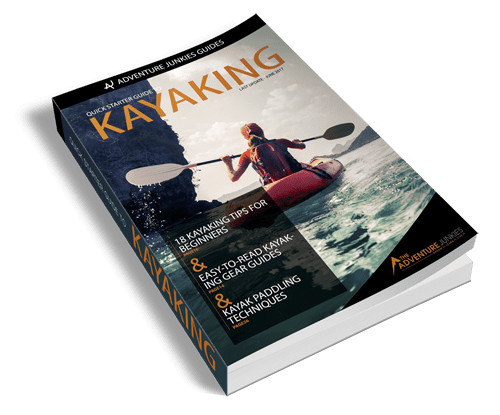 Most of the kayaks in this review are intended for easy (Class I) to intermediate (Class III) bodies of water, which are beginner-friendly. 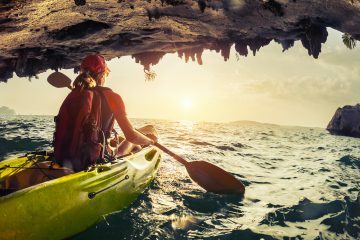 Look up the difficulty of the lakes and streams you plan to visit regularly to gauge which type of kayak is appropriate. It’s important to check the recommended weight limit on any kayak you’re considering. Even though you’d expect a two-person kayak to hold two adults, many can only handle two small people or a man and his dog at most. For example, a 350 lb weight limit might only hold one grown adult. Consider how much you weigh and how much your intended passengers weigh before making your selection. Inflatable kayaks are some of the most portable watercraft available. Hard-shell kayaks require either a truck or roof racks to transport, while inflatables can be carried on your back. Even still, you have to consider how much the inflated vessel itself weighs to make sure you can bring it down to the water, either by yourself or with another hand. Inflatable kayaks may sound risky, but they’re nothing like your ordinary blow-up pool toy. Most are made with thick puncture-resistant material, sometimes several layers deep, and multiple air compartments to reduce your chances of shipwreck. However, more expensive brands tend to be made with even stronger material for a longer shelf life. The hull is the bottom portion of the kayak. The hull can have a rounded, V-shaped, flat, or pontoon hull shape. The hull shape affects the stability and maneuverability of the kayak. Learn more about the advantages of each hull shape. The rocker is the amount of curvature at the bottom of the boat. The more curvature, the less resistance the boat has against the water. A rocker profile allows for better maneuverability when turning while a straight profile makes it easier to track straight. A skeg looks like a little fin that attaches to the bottom of the kayak to help you steer straight. Inflatable kayaks often get pushed against the wind, but skegs help them stay on a straight path. Foot pegs are little foot rests you can push against to brace your legs while paddling. Adjustable foot pegs are the best option because you can move them based on your height and preferred positioning. Learn the right way for how to position your foot pegs. A spray skirt is waterproof material that either wraps around your torso or covers parts of the kayak to help minimize water splashes. Spray skirts help you stay dry on choppy water. A drain valve is a plug you can use to drain water out of the cockpit. A self-bailing valve has a one-way drainage system that lets extra water out of the boat without letting any back in. Self-bailing drain valves help prevent big puddles from accumulating under your feet. To become more fluent in the language of kayaks, learn the common terminology here.